The annual PGA Merchandise Show is nirvana for gear heads and fashionistas who can browse the new equipment and latest clothing trends to their hearts delight. All of the well known brands have massive booths with beautiful displays and hordes of sales people, PR agents and distributors hanging around to explain it all or take an order. Those booths get the majority of attention and most of the press. While I do stop by for a look, my itinerary for the Show follows a slightly different line of attack as I’m usually searching for the latest gizmos and gadgets, training aids and outright crazy inventions from first time exhibitors and golf obsessed tinkerers. To be an exhibitor at the Orlando show is expensive – from the cost of booth space to travel and accommodations and lots of incidentals in between, it can easily run more than $10,000 for a start-up business to get their new product on display. And that’s after they’ve mortgaged the house and used up the kids college fund to develop their latest and greatest, get it prototyped, tested and manufactured for the Show. Unfortunately, most of these new products will never get a feature on Golf Channel or make millions for their creator. Most are consigned to yesterday’s news and the owners usually end up back in a real job. However, every Show yields a few nuggets that capture attention - some for the right reasons and a few otherwise. 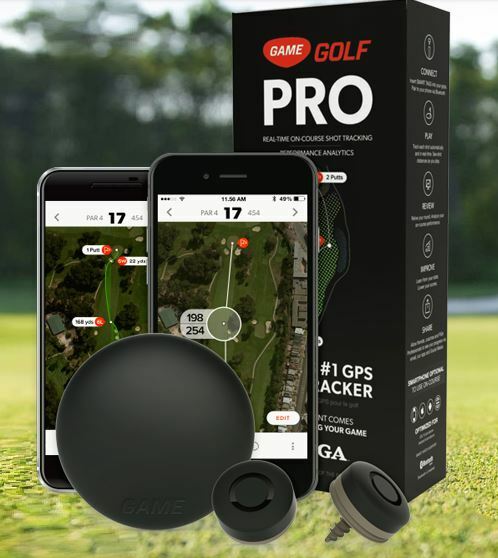 Following are my picks for Best New Products (Gizmos and Gadgets category) from the 2018 PGA Merchandise Show. (All prices are US$). Everybody has had a critical umbrella failure at some point – usually when the umbrella is caught in a high wind and gets turned inside out. The Weatherman Umbrella is made of a Teflon coated fabric to keep you dry and has extra supports so it can withstand winds up to 80 kph. It also has extra pockets in the canopy where you can store gloves and scorecards and has a non-slip rib to hang a towel on. 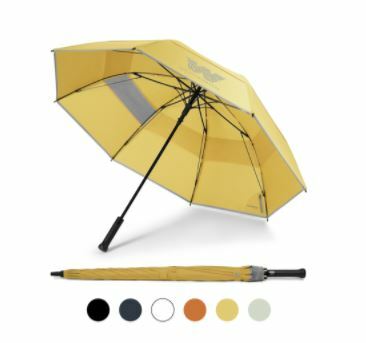 On the technical side, the Weatherman Umbrella has a Bluetooth tracking device that can be paired with an app on your phone to let you know where you left your umbrella. The app can also give you the latest weather. This training device is designed to teach you proper impact. The head of the Mini is just 37 cubic centimeters – about the size of a golf ball. Compare that to your driver at 460 cc. 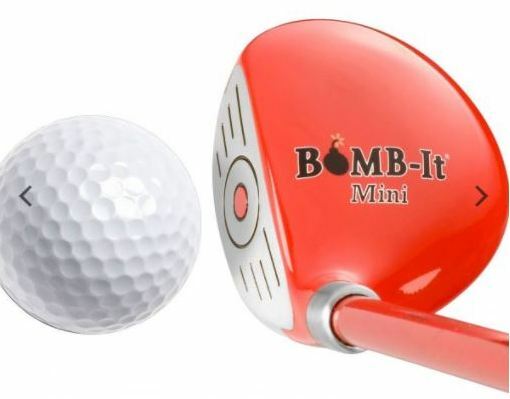 If you can make good contact with the Mini, then hitting the sweet spot on your full size club will be easy. One of the best ways to improve your golf game is to learn exactly how far you hit each club. Game Golf records your shots and gives you all the stats you need. Just insert the little recording device into the end of each club and let Game Golf do the rest. Unlike earlier versions where you might “forget” to set up each shot, the PRO version does it for you automatically so no shots are unrecorded. Information can be downloaded via an iPhone or Android app. As someone who has spent large parts of this winter trying to regain my lost putting stroke on the basement floor, the Putt Out struck a nerve. 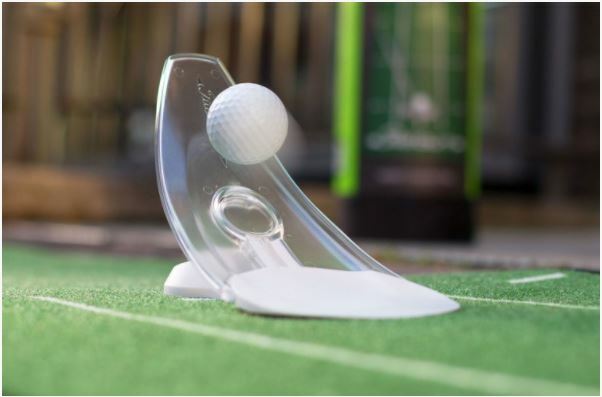 The scientifically shaped parabolic ramp returns the ball the same distance it would have missed beyond the hole, while the micro-target hold only perfect putts. There are also putting mats if concrete or hardwood is running too fast. Options for riding the golf course continue to expand well beyond the traditional four wheeled cart. 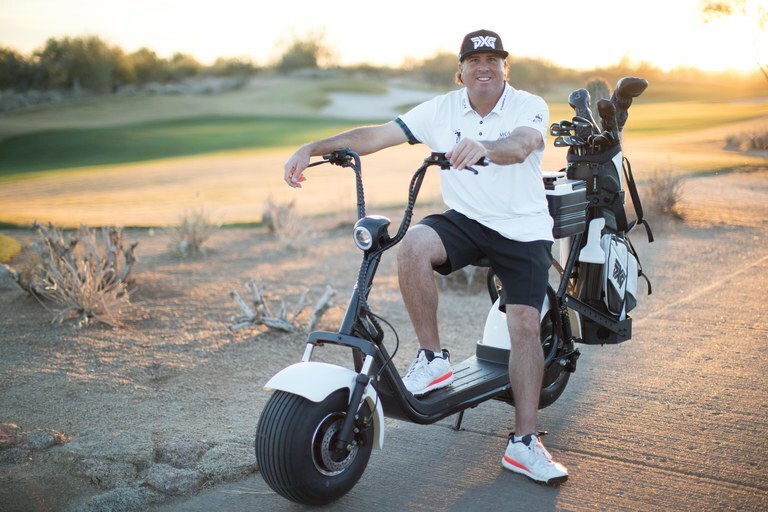 The Segway, the GolfBoard and more recently the GolfBike have all changed our perception of riding. Now comes the Phatty HD, a golf version of Phat Scooters. The scooters can travel up to 32 kph and have rechargeable electric batteries that can last 36 holes. Golfers sit a comfortable 28” off the ground and enjoy front and rear suspension. The scooters are also better on the turf than traditional riding carts.